Today I’m back with a new winter themed card, highlighting the Trim-a-tree Store: one of the amazing rubber stamps from Purple Onion Designs. This stamp is one of my favorites from the SA Hometown collection designed by Stephanie Ackerman Designs. Her drawings are so detailed and fun to color! 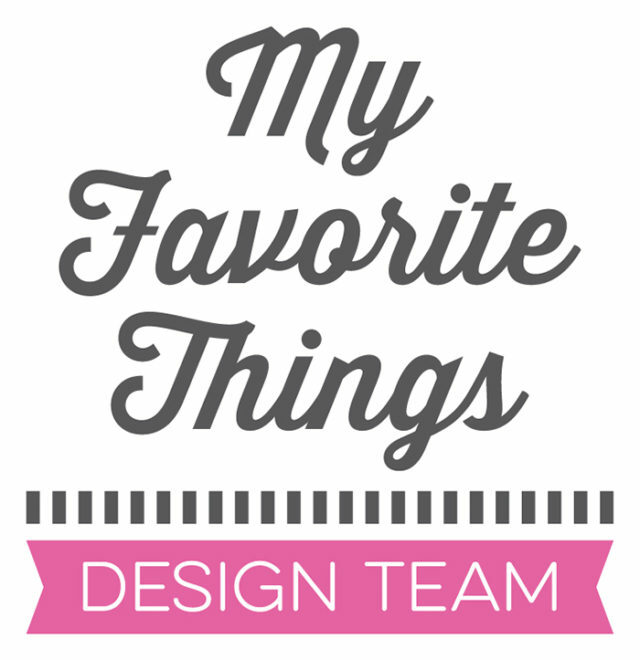 And this one, in particular, is just perfect to create amazing Christmas projects!! it’s time to do a happy dance because Purple Onion Designs Holiday Sale starts today, Friday, November 23rd!! Exciting, uh? 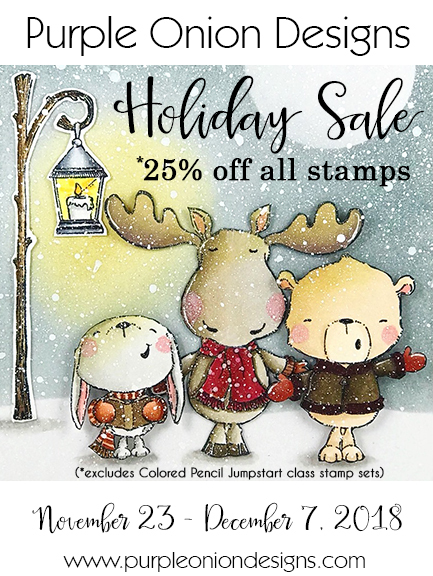 All their amazing rubber stamps are 25% off (except the already discounted bundled stamps for Sandy Allnock’s class). The sale will run until Friday, December 7th. For today’s card I created a winter dimensional scene, using the Trim-a-Tree Store as the focal point of my card. I stamped the image with Memento Tuxedo black ink and colored it with Copic Markers – trying to use a winter color palette. Then, I decided to separate the store building from the tree lot with banner and carefully fussy cut them, using my craft knife where necessary. In this way, I was able to position them on different levels. Next, I ink blended the front panel of a card base with Tumbled Glass and Faded Jeans Distress Ink, creating a smooth winter sky. I added some water drops on it for a snowy effect. Such a perfect background for a cozy winter scene! I die-cut a frame out of white cardstock using the scalloped frame from the Peek a Frame set by Mama Elephant and a couple of snowy hills, using the hill borders from the Landscape Trio by Mama Elephant. Then, I mounted all the elements on my card, using foam tape for dimension. I heat embossed the sentiment in gold on vellum and added it to my card, too. The sentiment is from the Essential Holiday Greetings Set. Finally, I added a bunch of sparkling clear stars here and there as embellishment and some glossy accents to the Store lights. Hope you enjoy today’s project. Happy crafting and happy shopping!